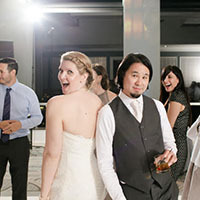 Since 2004, I've helped busy couples with big lives create weddings they love. We provide a seamless planning experience that allows you to stay focused on your world and not worry about your wedding. Ready to get started? Click the button below to schedule a consultation and get a customized quote. All Wedding Planning Services start at $2500. Each is customized to your individual needs - contact me today for a quote. You've planned most or all of your wedding, and you're determined to celebrate it stress-free with your family and friends. In the month before your wedding, we contact your vendors and your venue, and and create an airtight timeline for everyone to follow. My team and I will be there for the entire day, making sure all the things that you want to happen, happen. You'll enjoy your wedding day, and know that your guests are doing the same. Any advice or referrals you need to complete your wedding plans. Up four additional meetings between us, or with vendors on your behalf. A ceremony and reception site walkthrough. Timeline building, beginning one month before your wedding date. A minimum of two coordinators on site during your wedding, from the beginning of the day to the end when we close the doors behind us. Concierge-level service for you and your wedding party. All issues are off your radar - your only duty is to enjoy the day. Unlimited management of your wedding planning process, from now until the end of your wedding day. You know what you want that day to look and feel like, but you also know that you need help to make it happen. Together, you and I will design and and follow a step-by-step plan to find everything you need, all within your style and budget, with all meetings and appointments carefully worked around your schedule. We'll give you all the resources and options you need to create the wedding day you want. You can relax and enjoy your engagement without wasting time, money or stress. All wedding, reception and vendor research as needed, until your individual choices are made. We’ll also make all of your appointments for you around your schedule, and come with you to facilitate and negotiate on your behalf. Expert consultation and guidance on etiquette and other logistical and personal considerations. Attire selection and consultation. Securing guest accommodations. Wedding Day Coordination, too, of course! Pricing is customized according to your needs- let's talk about your wedding! 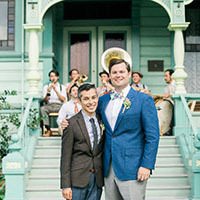 Expert help with any of the pieces and parts that make up your wedding. How can I help you shine ? Marriage License Delivery - can't make it to the courthouse? A La Carte Services start at $250. What do you need right now? Contact me today for a quote. "My friends and family were able to enjoy the day without being saddled with tasks. Most importantly, my hubby and I had the most amazing day, without a care in the world. Whatever people threw at me, I just sent them to Liz. She shielded us from everything and we were thoroughly able to enjoy the day. And not only did she take care of us the time leading up to the wedding, and on the wedding day itself, she also checked in with us after the wedding to make sure we were ok. Some minor issues came up and Liz was still working on stuff for us. She is so easy to work with, she has a great, friendly energy, she always put me at ease. Having her a part of our wedding was the best decision I made. People asked me how I was so calm on the day of. It was because I knew I had her running the show! We are so grateful to Liz." "Thank God for Liz!!! We planned a wedding for 200 people in just 6 months! We hired Liz for her full services and this was money well-spent. Liz was helpful in every aspect of planning and organizing the biggest event of our lifetimes. Her patience and help made it possible for us to create exactly the exciting and unique wedding experience that we had imagined. She is an expert in all things wedding and just being able to ask her endless questions throughout the process was priceless. I love that she takes so much delight in the creative expressions of love through weddings. She is a gem!" When I went to Liz with my crazy ideas she never said “no” but simply helped figure out the logistics to turn them into reality. On the big day, she and her assistants managed our timeline so that everything flowed seamlessly. The entire day was perfect – a wonderful day, surrounded by loved ones, good vibes and awesome food. I’m so glad we booked Liz!" 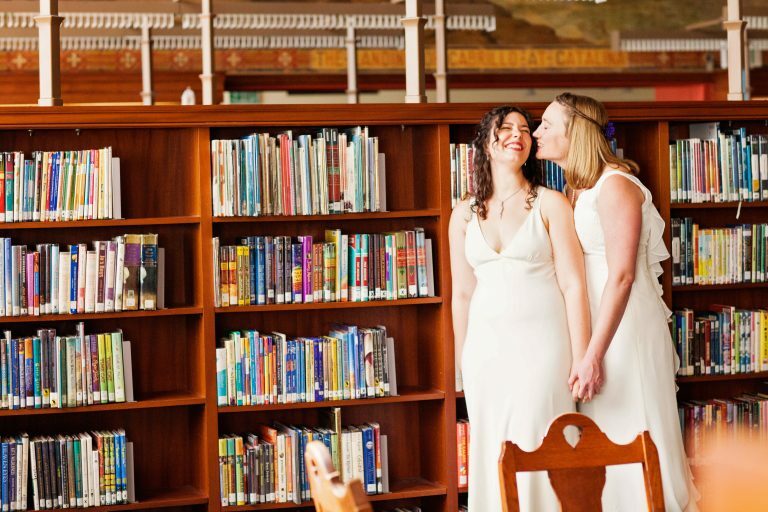 "My dream for my wedding was to have the day go off without any major disasters, which it did, so I got my dream wedding, thanks to Liz. She handled every detail of the planning and was available for all our meetings, tastings, fittings, etc. 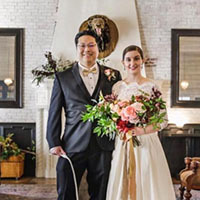 Our personalities meshed well with Liz, who is a fellow sci-fi and pop culture geek, and the whole process of planning was painless and even fun. If anything did go wrong on our special day, we were not aware of it. I felt like I could just relax and enjoy the celebration without having to worry about anything. We had all the things that were most important to us - good food, good music, a beautiful setting, plenty of booze and all of our loved ones there with us to share the moment. Liz helped to make it all happen. It was truly the best day of my life, and I'm so grateful that I will always have this perfect memory." 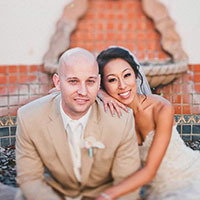 Karen + Roger: City Club, Downtown L.A.
"I couldn't have asked for a more organized, fun and capable wedding planner than Liz at Silver Charm Events! 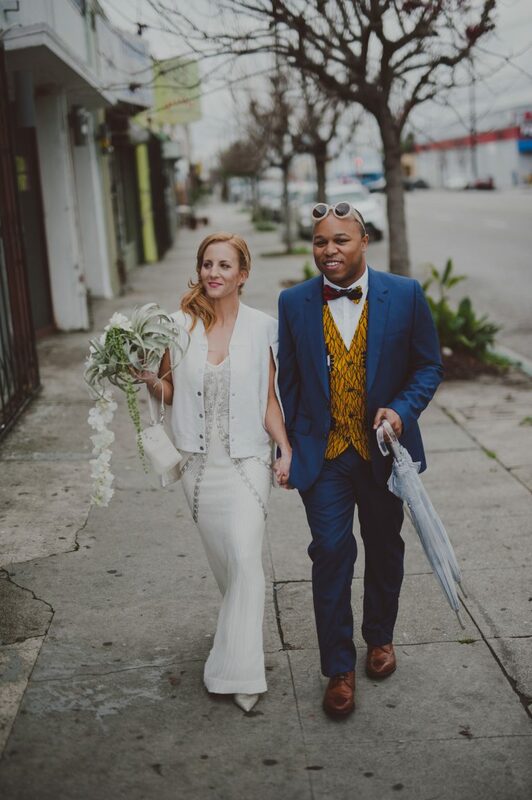 We live in the UK but decided to have our wedding back home in LA. 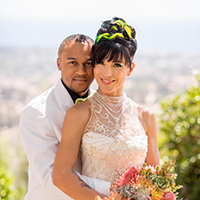 Planning a wedding from abroad can definitely be overwhelming but Liz made the entire process fun and stress free. She was always there to answer any question I had at anytime of day or night. Even though I had only two weeks in town before the wedding itself, she made sure to be on hand for everything that needed to get done. If you're planning a wedding I definitely recommend hiring Liz and her team!" "Liz was our day-of coordinator, but she definitely went above and beyond to make sure all of the pieces came together before the big day. She was great at handling all of the little details behind the scenes to help make our wedding day a stress-free and fun experience. She works really hard to touch base with all of the various vendors and keep everything and everyone organized. Knowing she had it all under control allowed me to relax and enjoy!" Copyright 2018, Silver Charm Events.